A number of police officers sustained minor injuries after dealing with a fight that broke out in a crowd of about 50 people in Co Antrim. 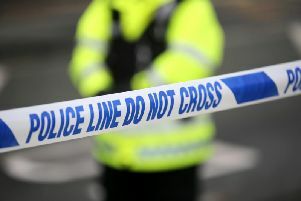 Police attended a disturbance in Ballyclare just after 3am on Sunday morning. Inspector Alison Ferguson said: “Officers attended and found that around 50 people had gathered on Main Street in the town and that fighting had broken out amongst them. CS spray was used to restrain a 36-year-old man who was then arrested on suspicion of disorderly behaviour. He was released, pending a report. The 23-year-old remains in custody and is helping police with their enquiries. Councillor Vera McWilliam said she was “absolutely disgusted” by the incident. She told the News Letter: “There is no need for this kind of behaviour, especially at 3am when they shouldn’t have even been there.